I know. It’s not really pie. I’m not trying to fool anyone here. THIS DOES NOT TASTE LIKE PIE. Seriously, there is no substitute for pumpkin pie. But this time of year, a Pumpkin Pie Smoothie is a great way to trick your brain into believing that you’re having something much more indulgent for breakfast than you really are. I don’t know about you, but when I get to the fall and cooler weather, I don’t want a healthy green smoothie for breakfast. I want pie for breakfast. So I reach for the ingredients to make myself a Pumpkin Pie Smoothie. I consider it an adulting compromise to actually eating pie for breakfast. 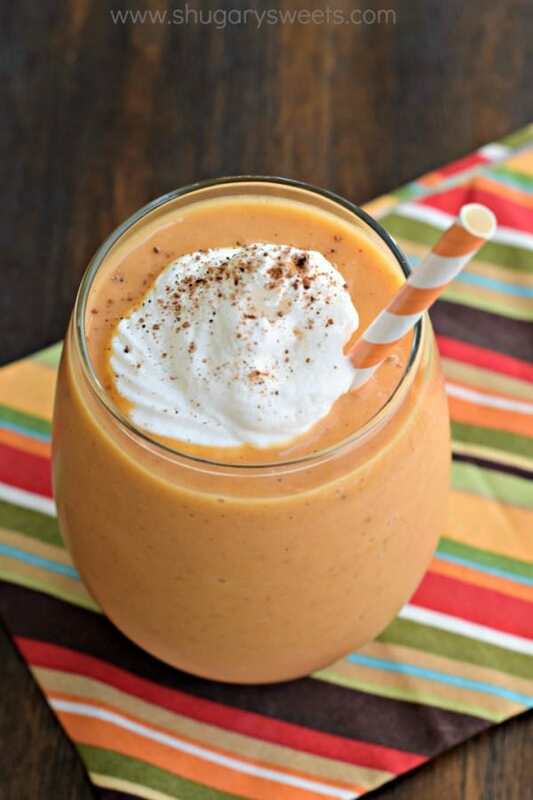 I also totally suggest you make this Pumpkin Pie Smoothie for breakfast on Thanksgiving. It’s like a “pie warm-up.” You’ll be ready for pie after drinking one of these! While this Pumpkin Pie Smoothie recipe may not taste exactly like a slice of pie, it is delicious. 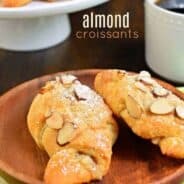 Add in a scoop of vanilla protein powder, and you have yourself a filling breakfast that will keep you satisfied until the turkey comes out of the oven! This Pumpkin Pie Smoothie recipe is actually a great use for some of that leftover canned pumpkin puree you may have sitting around. You know, from making Skinny Pumpkin Energy Bites, and Pumpkin Scones, and Pumpkin Pie Truffles! I’ve got some more great smoothie recipes here on the blog. 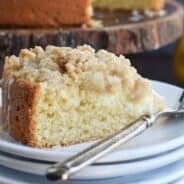 If you scroll down after the recipe below, I’ve shared a few of my favorites! If I’m going to make a smoothie, I like it to be super easy to make. I want to throw all the ingredients right into the blender and call it a day. 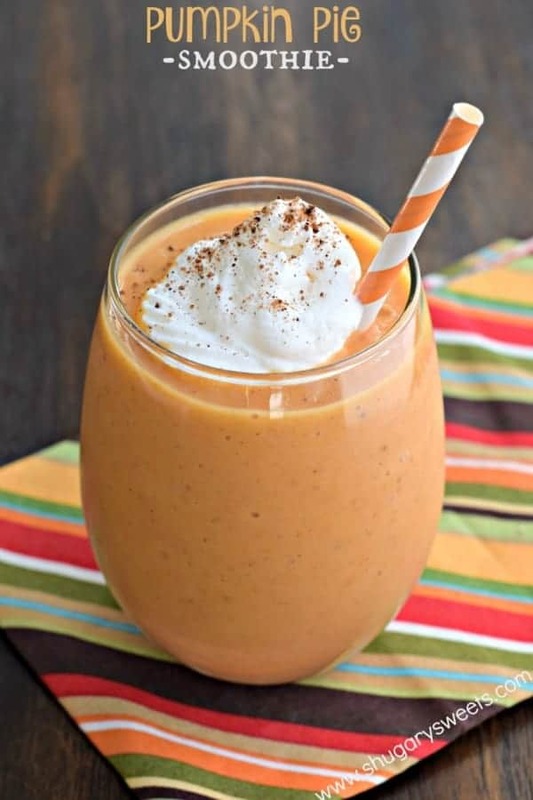 To make a Pumpkin Pie Smoothie, simply toss all of the ingredients – pure pumpkin puree, banana, ice, vanilla yogurt, milk, and a bit of pumpkin pie spice and agave or honey – into your blender and pulse until smooth. I add ice to my Pumpkin Pie Smoothie recipe to make it super thick and cold. I never remember to freeze bananas ahead of time for smoothies, so ice to the rescue. If you’re more on top of things than me, you could use a frozen sliced banana and leave out the ice cubes. And since the ingredients in this smoothie are so good for me, I sometimes like to be a little bad and top my Pumpkin Pie Smoothie with whipped cream. After all, Thanksgiving is a day of indulgence, so why not start early? 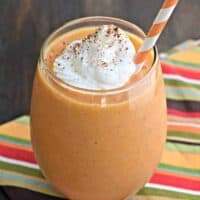 Enjoy this Pumpkin Pie Smoothie – whether you make it for breakfast on Thanksgiving or just a regular Thursday, I can guarantee this will become one of your new fall favorites! 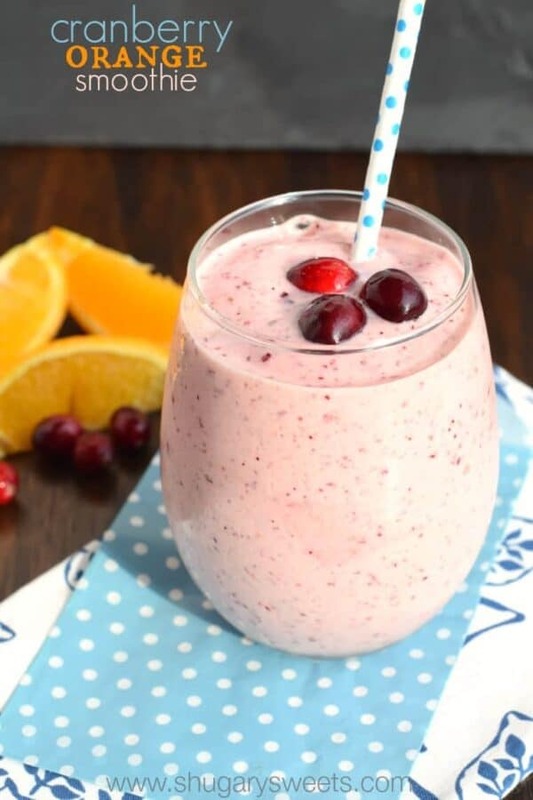 Cranberry Orange Smoothie: now is the time to stock up on those fresh cranberries. Toss them in the freezer to make this smoothie all year long! 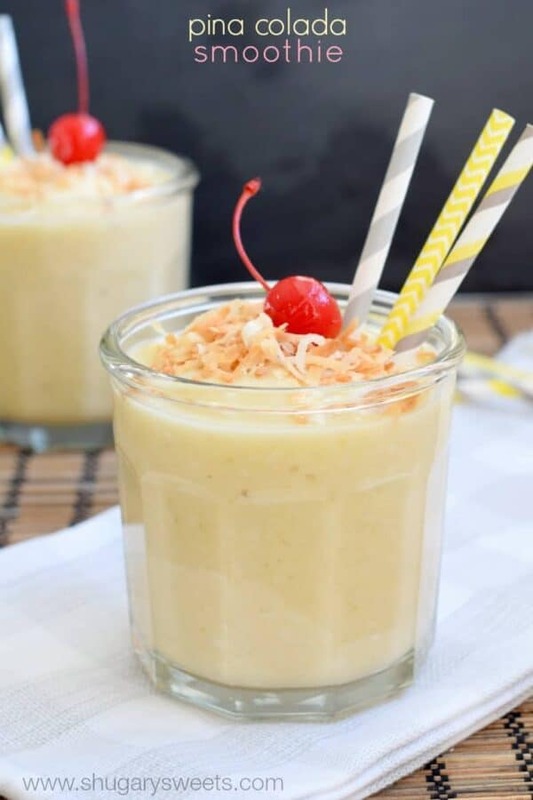 PiÑa Colada Smoothie: It may be snowing outside, but I can pretend I’m on a sunny beach while sipping this smoothie! 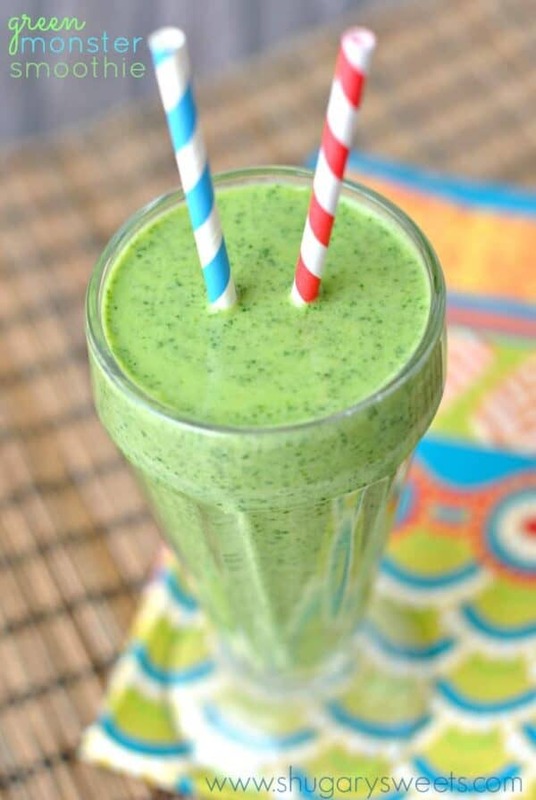 Green Monster Smoothie: don’t let the color scare you! This smoothie is sweetened with peaches, you’ll never know there is a veggie in there if you close your eyes! In a blender (I love this one, it does a great job crushing the ice), combine pumpkin, banana, ice, yogurt, spice, agave nectar and milk. Pulse until smooth! 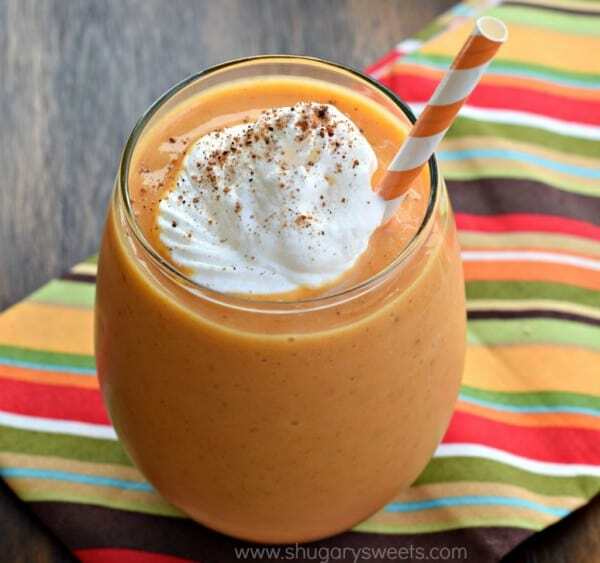 Pumpkin pie smoothie before pumpkin pie! I like, especially because it has protein powder and I’ll be starving tomorrow, waiting for the meal to start. This baby will hold anyone over! And it’s pretty, too! That looks so creamy and delicious, yum! Gorgeous smoothie! I think this is the perfect way to kick off the holidays! This smoothie looks delicious! I must try this on tomorrow. Thanks Aimee for such an awesome recipe. Oh my gosh, this looks so creamy and perfect. I really love pumpkin, and I have a ton of it on hand that I haven’t used yet for baking… I think this will have to be its fate, instead of pie! Yay! I have never known that pumpkin can make this awesome smoothie. Thank you so much, I will try your recipe with my blender. A healthy alternative to all the pumpkin spiced lattes that will begin again in a few months! Looks delicious! This looks amazing!! Do you have a suggestion for something to substitute the banana? Or would it be ok ommitted completely? They make me sick but I find smoothies just aren’t the same without them. Jess, adding an avocado to a smoothie gives it a rich creamy texture, and there is very little taste so I imagine it would be a terrific replacement for the banana. 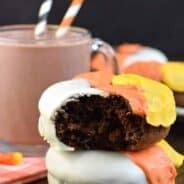 A great recipe for now – coming into fall, but not yet too cold!!! Thankyou for the inspiration! I cut up fresh bananas (4 pieces for each banana) and toss them into freezer bags and freeze them solid (you can also freeze them on a cookie sheet first, then the bags). When I want to make a smoothie I just take 4 pieces of frozen banana and add them to the blander. No ice needed (which I think thins out the smoothie too much) and it comes out thick and creamy. This smoothie was so quick and healthy! I like thicker smoothies so I added a frozen banana. So delicious! Thanks for the recipe! I still do not know smoothie recipes from pumpkin until reading your article. This one sounds amazing. Definitely going to give it a try! This looks so delicious! I was wondering how you would give it that creamy taste. Yogurt definitely would do the trick! Thanks for sharing! YUM! I love pumpkin, but it seems like it only comes as a sugary dessert. This is a great alternative to getting the pumpkin fix. Thanks for sharing! I tried this smoothie this morning. I followed the directions accordingly and it came out so creamy and delicious! Love it, thank you for the recipe. Have you ever tried to make with fresh pumpkin? I always shred pumpkin and put it in the freezer. Just wondering how that would work. I dont like yogurt what else could i use????? And still keep it healthy…..
same question as susan above me. does anyone know of a lactose free alternative for the vanilla yogurt? Hi Aimee! I like to use plain yogurt because it doesn’t have all the added sugar & stuff. Could I just use some vanilla extract & how much would I use if so? Thank you! Made your recipe tonight with no sugar added kemp’s frozen yogurt and skipped agave syrup. Very tasty !! Next time to make thicker I might omit the ice cubes. Loved and thank you for healthy fall smoothie??? ?